Apply a nickel-sized dollop of polish directly onto applicator sponge. Vigorously rub into surface until it turns clear. Buff to a high gloss using a microfiber towel. 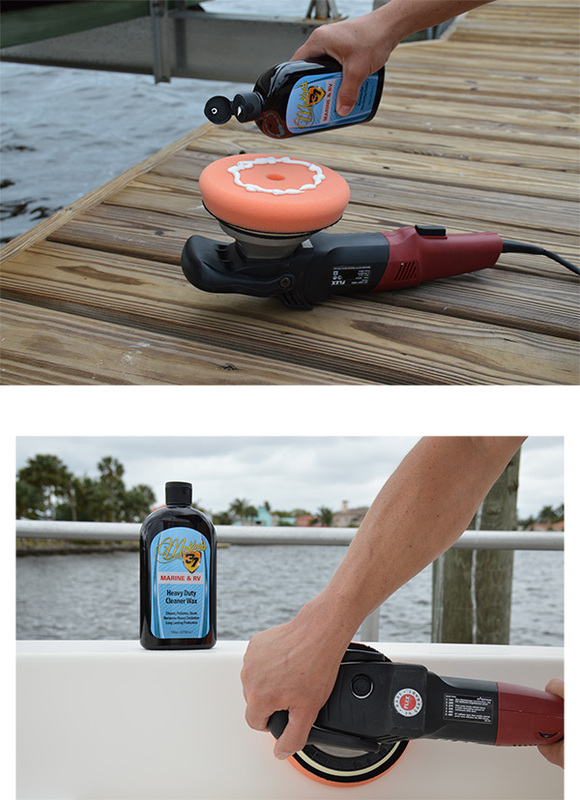 Apply an X of polish directly onto a foam cutting pad. Spread polish over a 2’ x 2’ area with the machine turned OFF. If using a rotary polisher, set speed between 1200 and 1500 RPM. If using a dual action polisher, set speed between 5000 and 6000 OPM. Remove excess polish using a microfiber towel.